Producing vegetable can take it’s toll on your garden soil – you need to replenish the nutrients each year. 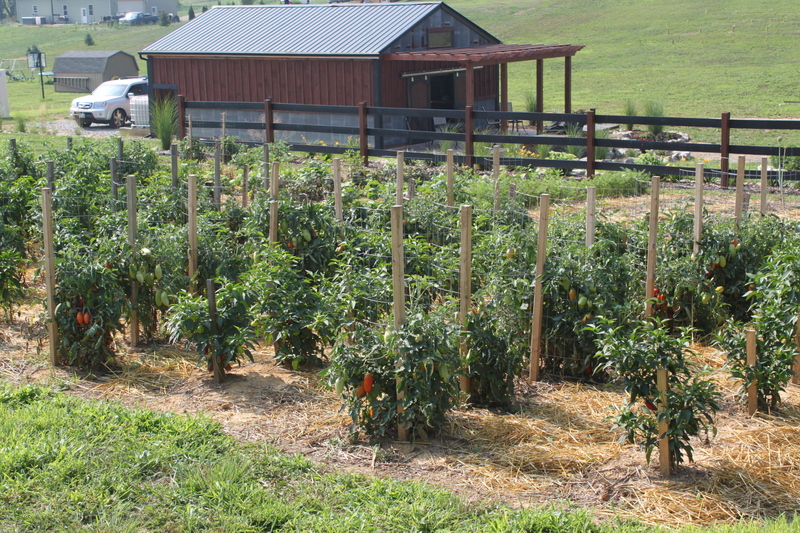 Healthy soil keeps your garden productive year after year. So this fall – here are 3 great ways to rejuvenate your soil naturally and inexpensively. Any one by themselves will add vitality and organic matter to your spent soil. But at the end of the article, you can see how we use all 3 at once to keep our beds teeming with nutrients year after year. This is great time to dig in compost made through the summer months. 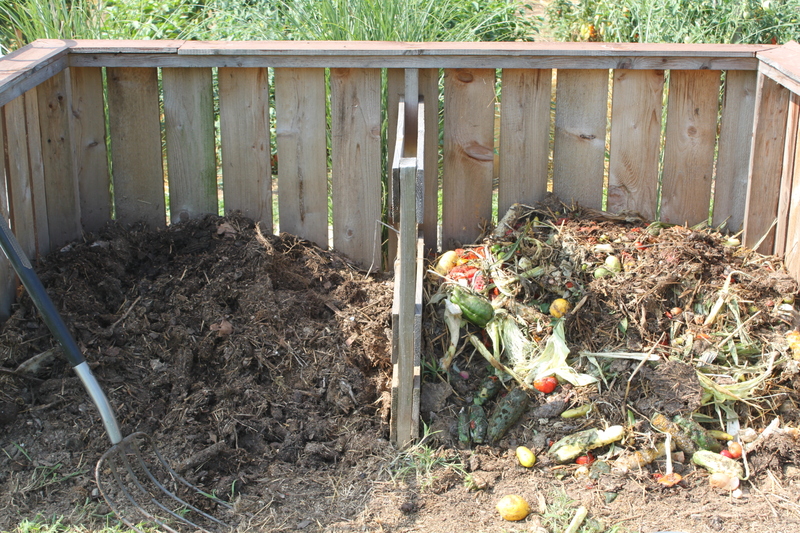 Compost is to the soil what a healthy balanced diet is to the body. It replenishes and feeds soil by adding all types of life-giving organic material, microbes and nutrients. We make a lot of compost throughout the summer. Each fall, we work about an inch or two of the “black gold” into the top of the soil on each planting row. Here in Ohio – cover crops can be planted anytime from late September to the end of October – the seed just needs enough time to come up with a few inches of growth before winter sets in. What is best to plant? We prefer annual rye – it sprouts fast, grows fast and thick – and has deep roots that loosen the soil. Other good crops to choose from are buckwheat, clover, and hairy vetch. Leaves are one of the most inexpensive ways to add nutrients back to your garden soil each fall. 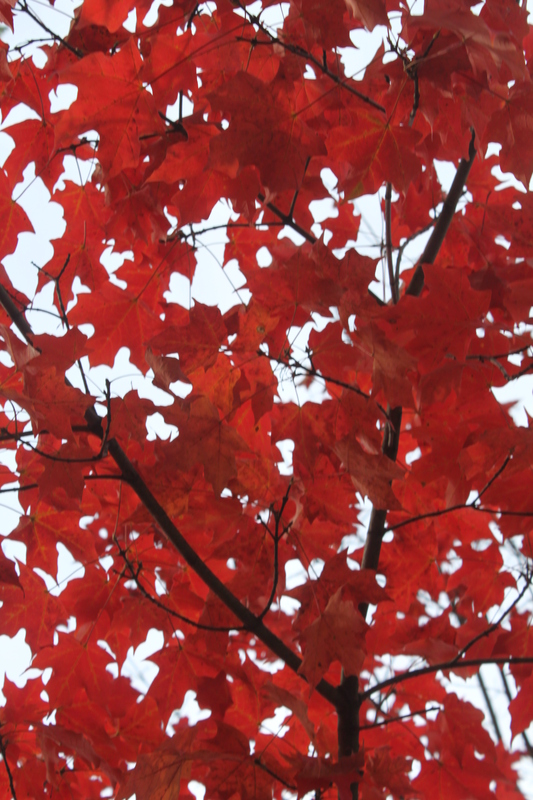 Leaves are the most inexpensive way to provide your garden with organic matter each fall. We take leaves and shred them up with our lawnmower – and then spread a 2” layer on top of each raised planting row. You can either dig it into your soil with a pitchfork – or let it decompose on top and turn it under next spring before planting. This latter method also helps to provide your soil with protection from the winter winds and erosion. If you are not blessed with trees on your property – take a drive around and find neighborhoods that are – it usually won’t long to find them. Many times, the hard work is done for you – with the homeowners already raking leaves to their curb or even bagging them up curbside for pickup. A simple asking of the homeowner can usually net you more than you can handle. Oak leaves on the other hand should be composted in moderation. The leaves of Oak trees tend to be more acidic – too many in the compost pile can result in compost that is less than ideal for most vegetable gardens. 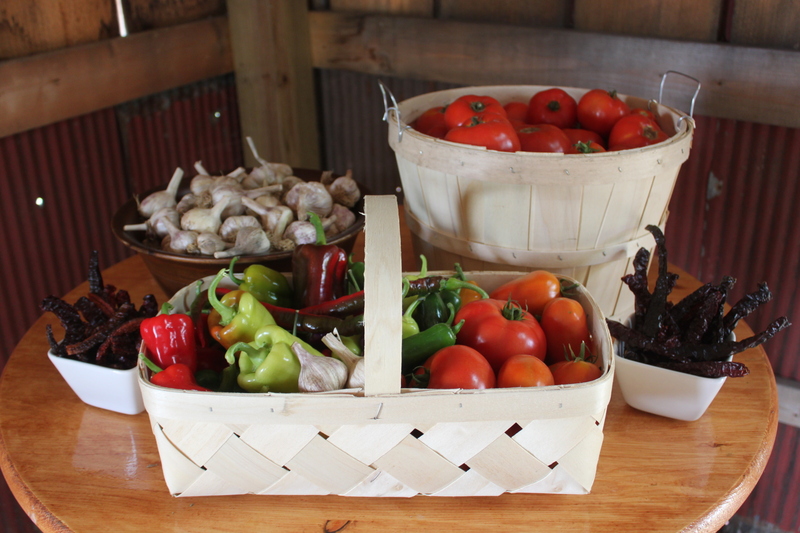 Cover crops, compost and shredded leaves have kept our garden producing well year after year. 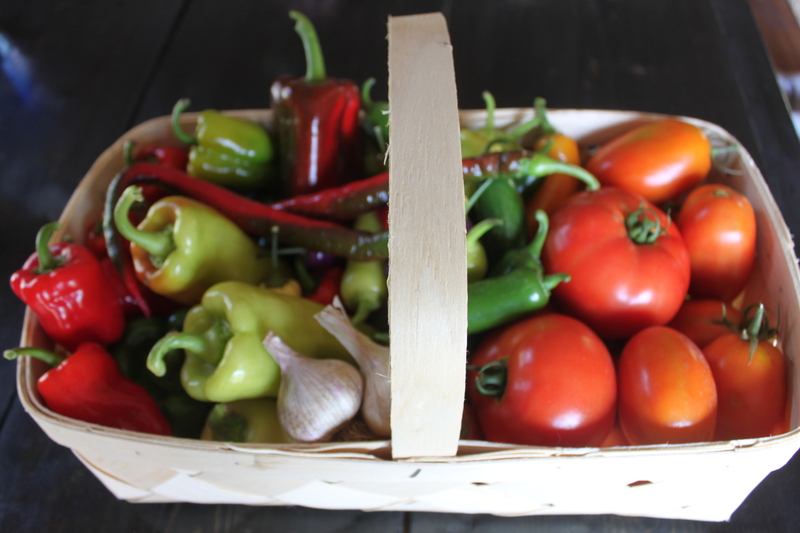 So if you really want to rejuvenate the soil – do all three at once – it’s what we like to call the Fall Garden Trifecta – and it has worked wonders to keep our garden producing heavy yields, year after year. When your garden has run its course this year – clean it out and gently rake your soil. Add a few inches of compost to your growing space and rake it into the soil. Next, plant your cover crop in the loose soil and gently rake it in. Finally – put on about an inch of shredded leaves on top of the seed. The leaves will help to hold the moisture in and germinate the seed – and keep weed seeds from blowing in until the cover crop is established. 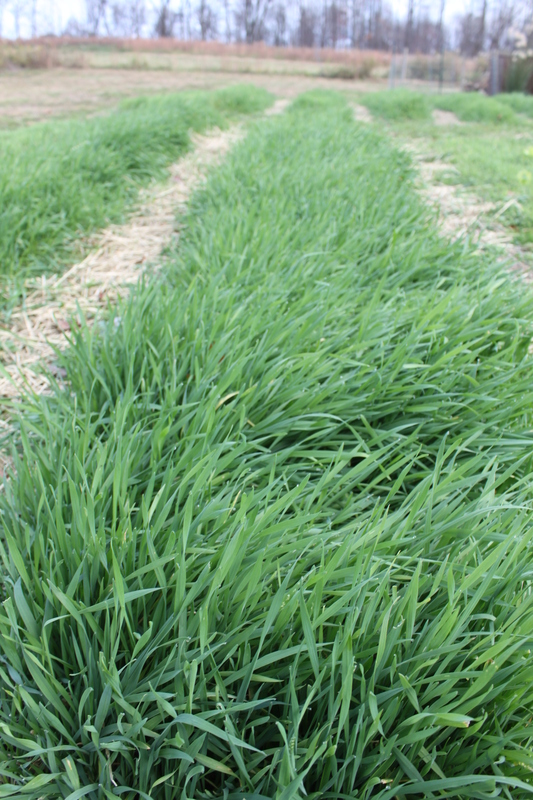 As your cover crops sprouts – it will grow through the leaves and hold it to the soil. Next spring – you can turn it all under before you plant – and your garden will thank you! This DIY rain barrel costs less than $100 and works just as well as the expensive one you can buy. These simply instructions we’re sourced from our friends atFamilyhandyman.com. You can use this to build your own and start saving water with the next rainfall. ( WARNING: THIS MAY BE CONSIDERED ILLEGAL WHERE YOU LIVE – Please remember to check the local laws in your area prior to building this and collecting rain water – this practice is illegal in some areas). It’s pretty easy to build your own rain barrels from plastic drums or trash cans. Search online for “bottles” or “containers” to find an “open head” plastic 55-gallon drum with a cover (about $60). Or find a used barrel by talking to car wash managers (they buy soap and wax by the barrel). If you can’t find a container you like, buy a large, heavy-duty garbage can (about $35) at a home center. All the other plumbing parts will add up to about $40. Place the drum near a downspout, drill a hole in the side near the bottom and screw in a drain valve. That’s an OK installation if you plan to run a soaker hose to your garden. But if you want to use a wand or a spray nozzle, you’ll need to elevate the barrel on a stand for more water pressure. Water is heavy (55 gallons weighs 440 lbs. ), so use 4×4 treated lumber for the legs and secure everything with construction screws or stainless steel lags. But don’t place the stand on soft ground. You could kill somebody if the rig toppled over. If you have large gardens and want to store more water, double-size the stand and add a second barrel. Cut holes in the bottoms of the barrels with a 2-1/4-in. hole saw. Then screw in a 2-in. male threaded electrical (gray PVC) conduit adapter (electrical adapters aren’t tapered like plumbing adapters, so you can tighten them down all the way). Squirt a thin bead of silicone caulk around the opening and screw on a threaded electrical PVC coupler to cinch the barrel between the two fittings (see Figure A). Next, glue together sections of 2-in. PVC pipe, unions (to make winter disassembly easier), reducers and valves. As long as you’re at it, install an overflow pipe so you can direct the excess where you want it. Finally, cut a hole in one of the covers and mount a screen to filter out leaves and debris. Then just wait for the next big rain. * – You can use pine, cedar, redwood or pressure treated mud sill that has been treated with copper sulfate, which is not toxic to the soil. Cut 2″x2″s into 4 – 33″ lengths. Cut 2″x6″s into 12 – 21″ lengths and 12 – 24″ lengths. Step 2 : Assemble as shown in figure 1. HINT: Pre-drill screw holes in 2″x6″s. Over prepared soil you will only build your box one board high. 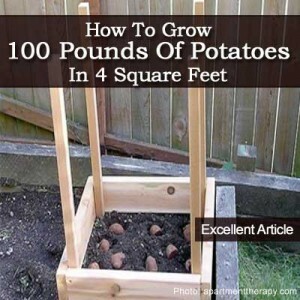 Fill with soft soil or mulch and plant seed potatoes 4″ deep. As the vines grow approximately 12″ above soil add another board and fill with soil being careful not to cover more than 1/3 of the vine. Keep repeating the process until the box is completed as shown. Step 3 : Harvest Time! As shown in figure 3 remove screws on bottom board and harvest your oldest potatoes first. Replace soil and boards. Your next harvest will be layer #2 and so on until you reach the top board. Add one part sugar to four parts boiling water. Allow to cool completely before placing outside. Place the butterfly nectar in a shallow container or pour over a brightly colored sponge. Place outside near brightly colored plants to attract butterflies. Feel free to suspend the sponge from a branch or tree to attract butterflies. Change the solution once a week, making sure you scrub out the container to prevent mold and the growth of harmful bacteria. You can add spoiling fruit to the plate too!!! I use Epsom salts, coffee grounds, my home made compost, I plant each plant very deep and with a banana peels. I can’t use fish, because of the raccoons. I live in zone 5, and I have a ton of tomatoes every year. I also rotate my crops very year. I normally plant tomatoes in the same bed that had peas last year.